Pinagbuyutan Island is one if not the most beautiful island in Bacuit Bay. It is the ideal spot in El Nido to see the most diverse species of fish and coral all gathered in one place. A paradise for snorkeling-lovers. Located 45min-ride away from town, Nacpan is the perfect beach to chill out and sunbathe. Nagkalit-kalit waterfalls are about 30mins from town on the way to Nacpan. There are two waterfalls ; the first one is good for swimming and cliff jumping, the second one is your natural shower. Though be aware that the falls may run out of water during dry season. Just next to 7 Commandos Beach, Papaya Beach is a less crowded idyllic beach with a volleyball net, a basket, hammocks and swings. 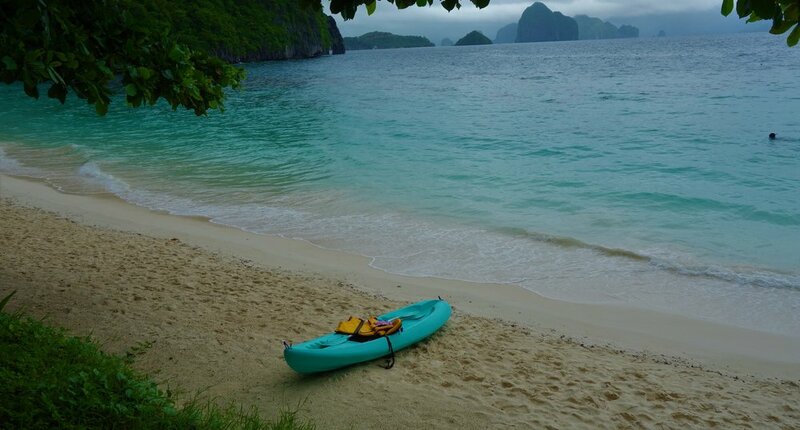 From El Nido Beach, it will take you around 1h but you can also start from Corong Corong. This is not your basic climb. Expect a 2-hour roundtrip tough climb. Take a lot of water, good shoes, a cap and gloves can be useful. Try to start quite early in the morning. You will definitely need a guide for that since there is not one clear path. Take a tricycle to Las Cabanas, walk along the beach until you reach the zipline stall. 500P sit-down position and 700P superman position. The stall closes around 5:30PM. Head to Caalan Beach (a 30-min walk from town) and admire a gorgeous view of Cadlao Island joined with a unique mix of colors. No filter needed. Located 1hour-and-15min away from town in the North-West of El Nido, Duli Beach is still an unknown beach. Although the road is rather chaotic, once arrived you will feel rewarded. Rent a surfboard for about 350p and go catch those waves! Head to Midtown Bakery around 3 to 4PM to taste these small soft coconut breads. Relatively cheap. No limit allowed!